Over the past year Lavastar have installed an increasingly large number of plain black PVC building wraps in and around London. 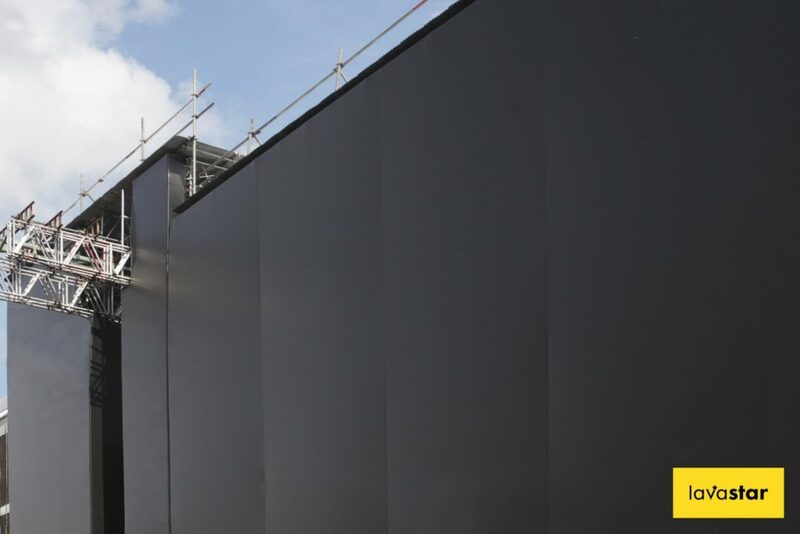 One of the key advantages of a flood black building wrap over a branded building wrap, is that there is no need to apply for planning permission prior to erection. This saves an average of eight weeks of waiting for approval from the local council before your site can be properly presented and protected. 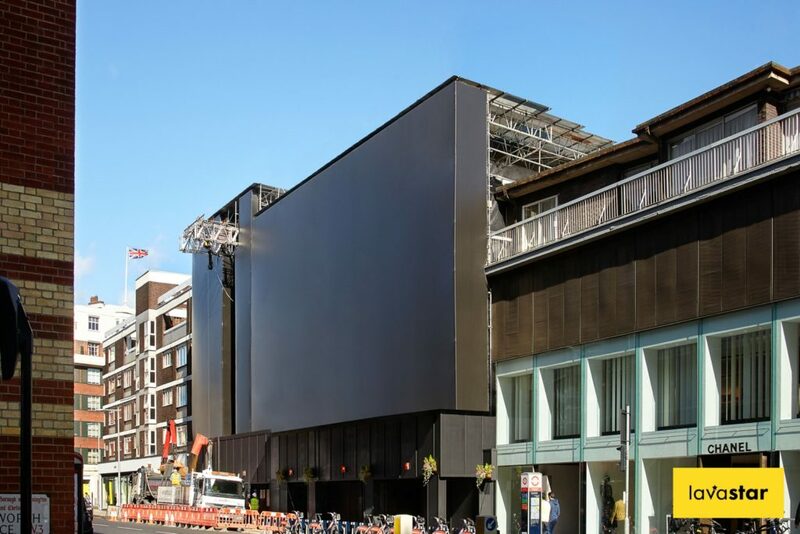 What are the benefits of a black building wrap? First and foremost, a building wrap will hugely improve the presentation of your building site. This will give your company a more professional image, showing that you take pride in your work and that you care about the effect your building site has on the general public. Secondly, a building wrap greatly reduces the environmental impact a building site might have on the local area. Not only will it hide unsightly scaffolding and keep local residents happy, but it will also reduce the level of noise coming from within the site, as well as reduce the escape of dust. How is a black building wrap installed? A comprehensive site survey must be conducted prior to the erection of any building wrap. This allows to take all the necessary measurements, as well as inspect the current scaffold which the wrap will be fixed to. Next, we would install a key clamp frame system which the building wrap is attached to. This allows the banner to sit 300mm proud of the current scaffold and greatly reduces the risk of tearing. Finally, our team of professional building wrap installers will visit your site and fix your building wrap in place, before molding it around the key clamp frame to give it a drum-skin-like finish.